With cigarette smoking posing the biggest block to success of all hypnosis. It is common that the client wants you to stop them smoking, rather than they want to stop smoking. It is no small distinction to be sure. The problem is eliminated when phobias, anxiety and other areas are being addressed, the success rates of these types of hypnosis are pretty close to 100%. I have long attributed this to sincere desire. They really don’t want to be scared of hopping on a plane or freaked out by that chihuahua, the desire for change is in place, and all they are seeking is the best, safest and fastest way to achieve it. To prepare for addiction cessation it is important not to focus on what you can’t have, this is equally sound advice for dieters. We all seem to have an immature button when told what we can’t have when we are adults. ‘You can’t tell me what to do’ kicks in and we enter rebellion mode. The problem is, the desire for changing something comes from you, no one else so you are rebelling against your own desires. Both tiring and frustrating! The best way to begin, isn’t to tackle behaviours, just stay exactly as you are for now, while holding a thought on how you see your future, how it can be better, how you can be happier and most importantly, what you envision as a lifestyle. I have lost count of how many dieters and smokers who have visibly relaxed when I told them they didn’t have to change anything right now. In these instances anxiety is a major issue, so it is best if it is dealt with directly. What causes that anxiety? Where did it come from? What past experience or current belief is in play? When you are committed to a life change, hypnosis makes it easier and quite likely more permanent. It can certainly address the question of withdrawals, and how you feel post cessation. I would add that it is beneficial to understand your own problem and the likely problems in changing your lifestyle so these can be addressed. For some people this means more than one session, but it is worth the extra effort. It is interesting to note, that when seeking to stop using medications, the success rate is pretty high, around 96%, when it comes to recreational drugs or alcohol it slips down to about 80%. This also indicates intention and the desire for the outcome. When it comes to cigarettes often clients come with them still in their vehicle. I will ask, and if they have them I always suggest that they wait and think seriously about what they want to do. As an example if you have a habit and it is in some way connected to trauma in the past, your likelihood of success is greatly improved by addressing that trauma. In one case I hypnotized a girl for anger, though she was looking to quit smoking at the time. She didn’t need another hypnosis for the smoking as she stopped by herself about 3 weeks after the initial hypnosis. In her consultation she had spoken about events in her life and that she was struggling with anger and often getting into arguments. I asked her whether she thought anger or smoking were doing her more harm right now. Her response was instant, anger was causing her more concern. As she stopped smoking by herself so soon after her session, it is clear that the smoking was linked to the anger. Understanding yourself allows for clear direction and a strategy. There may be a need for a second hypnosis to help with behaviours, but it isn’t always the case. Many times now I have heard clients talk about their ‘addictive personality’. The truth is, there isn’t any such thing, it is a bit of gobbledy gook by some therapists disinterested in getting to the link between a behaviour and a life experience. If you had parents addicted to anything, talking about being addicted to anything (please note mum’s and dad’s constantly on about coffee addiction), you are more likely to become addicted to something. The key here is, it isn’t your own personality but rather a conditioning, one of the easier things to deal with. 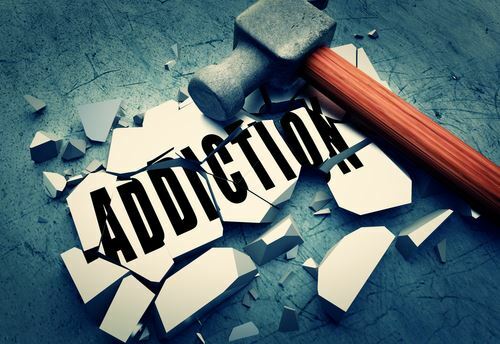 If an addiction is a way of avoiding pain, memory or something else deeply affecting you, it takes a bit more focus and work but the results are always worth it. Think about what your inner desire is, how you want your life to go, how you want your finances to look, and then think about what you can do to get there.